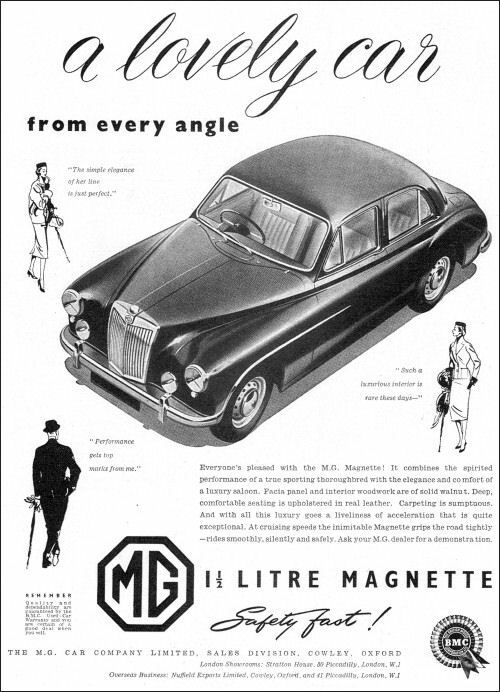 MG Magnette ZA superseded the Series Y saloon in October 1953. 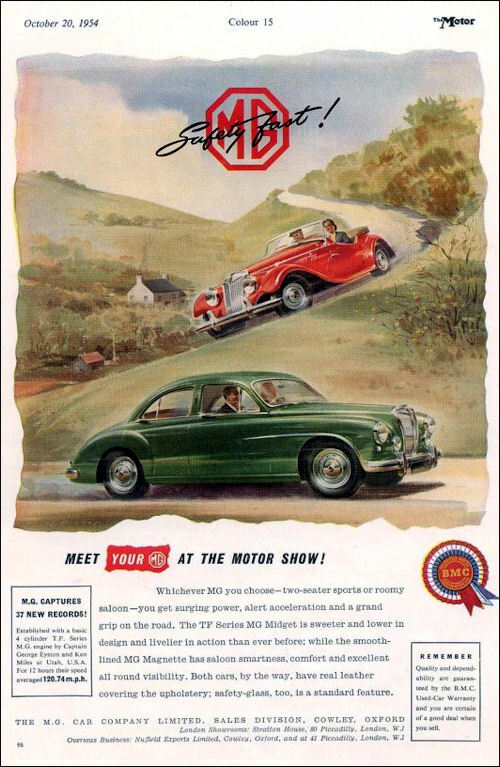 Powered by a 1½-litre 60-bhp BMC B-Series engine it has outward similarities to its BMC relative, the Wolseley 4/44, though it is lower and has a curved facsimile of the traditional MG radiator. 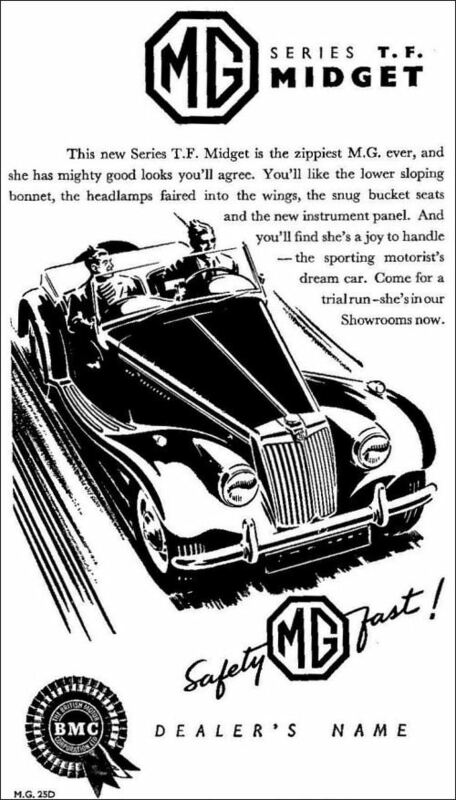 MG Midget TF two-seater Sports is a replacement for the TD. Its detail changes includes an improved, lower bonnet line that slope down to a tidier, raked-back radiator; the headlamps are faired into the front wing valances. Other improvements includes a better top, individually adjustable seats and increased engine power. 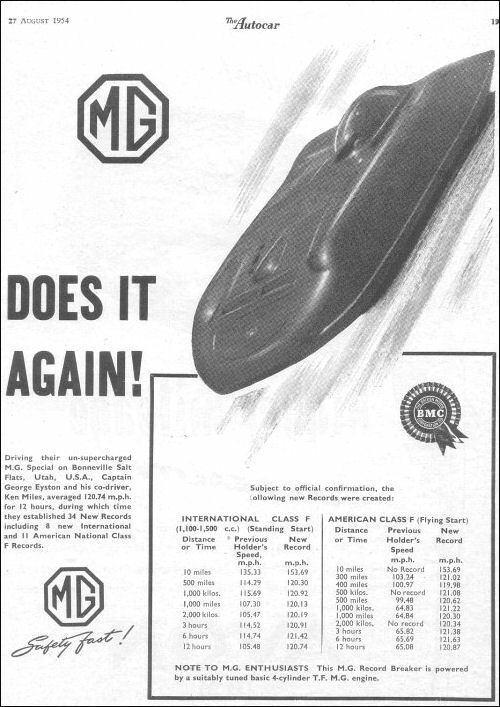 From 1954 1500 engine fitted in TF, with 63 bhp giving 86 mph top speed. 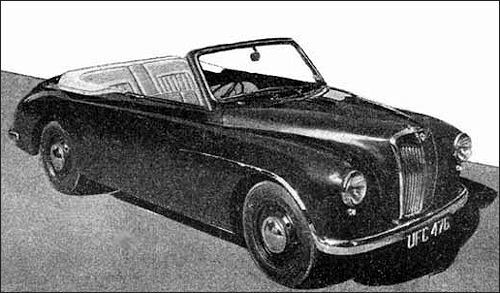 Magnette ZA Coupé by Hackit & Weld.